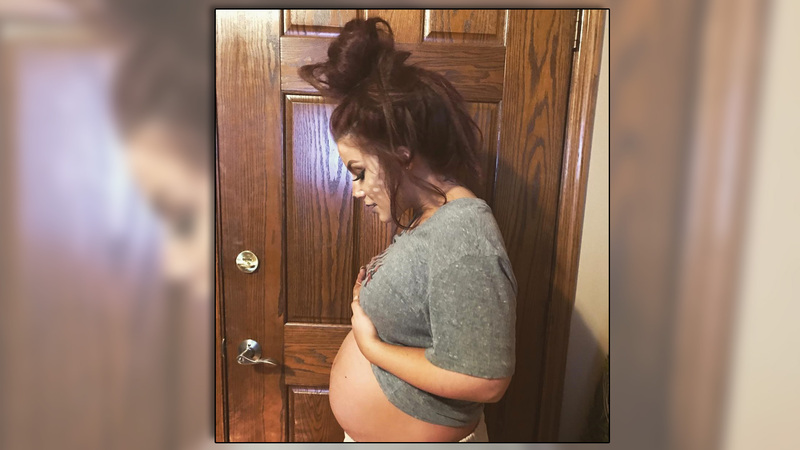 Teen Mom 2 star Chelsea DeBoer and her husband Cole have revealed the gender of their baby in a series of cute pictures. More: WTF is Jeremy Calvert’s 3-year-old doing with a gun? The couple, who married in a quiet country wedding on Oct. 1, posted images to both their Instagram accounts to share the news: They’re having a baby boy! DeBoer, who is already mom to 7-year-old Aubree with ex-partner Adam Lind, posed for a photo with her daughter clinging to her as she and her husband held a piece of string adorned with little boy’s clothing. The baby boy will be the first child for Cole DeBoer, who is clearly excited about the prospect of welcoming “the most amazing man on the planet.” He posted an image of bows and arrows and stuffed deer, suggesting he’s keen to teach his child how to hunt. The DeBoers won us over with their super-sweet pregnancy announcement back in July, and they’ve done it again with their cute gender reveal pics.